As a result of the efforts of a group of faculty and administrators led by Dr. Elizabeth With, UNT’s Vice President for Student Affairs, an informal venue for faculty to collaborate and socialize opened on February 6th. The idea that has become The Gathering Place was one of many that emerged from President Smatresk’s Implementation Workshop last August. The Gathering Place is open Monday through Friday from 4:00 – 6:00 in the space occupied by Avesta on the second floor of the Union. Beer and wine, as well as hors d’oeuvres, are available for purchase. Please come see what all the fuss is about! 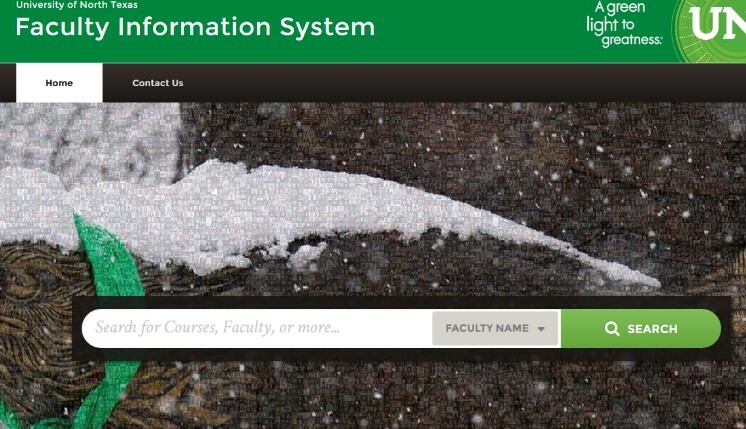 The new Faculty Information System (FIS) is up and running. UNT has imported much of the data from the old Faculty Profile System into the FIS database. Data that could not be imported directly into fields was placed in “legacy” screens. Faculty members will need to update their profiles through the my.unt.edu portal by April 30, 2017. To assist with this critical process, UNT will provide a number of training sessions this month. In addition, a list of FAQs and other resources can be found here. If you have any questions, please contact faculty.info@unt.edu. From its start as a teacher training college back in 1890, UNT has prized teaching excellence. Did you know that there is a valuable resource for assisting you in this area, and that it is as close as a click of your mouse? The Teaching Excellence Handbook includes teaching tips for instructors, suggested syllabus language, teaching resources on campus, policies, and much more. Please consider adding this valuable resource to your browser’s bookmarks. 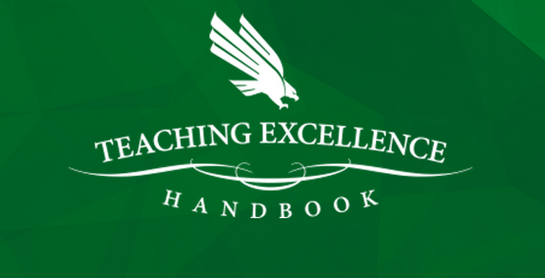 You can find the Teaching Excellence Handbook here. Come celebrate another magnificent year at UNT’s Wingspan Gala on Saturday March 25, 2017! All proceeds from this black tie and boots formal affair will benefit the President’s Scholarship Fund. For more information and for tickets please click here. The mentoring faculty provide to students can have a powerful effect on student outcomes and retention. This is especially important in the case of non-traditional students. 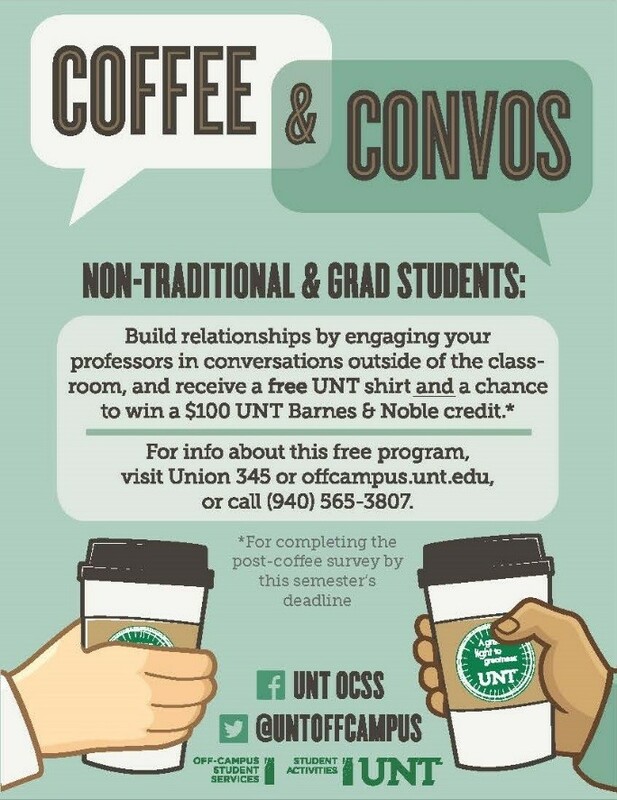 A program made available through UNT’s Division of Student Affairs makes it possible for non-traditional students to take a faculty member of their choice on campus for coffee for free. This program aims at making non-traditional students feel more engaged and connected to UNT as well as to their studies. Please share this opportunity with your students. For more information please visit Union 345 or offcampus.unt.edu, or call 565-3807. 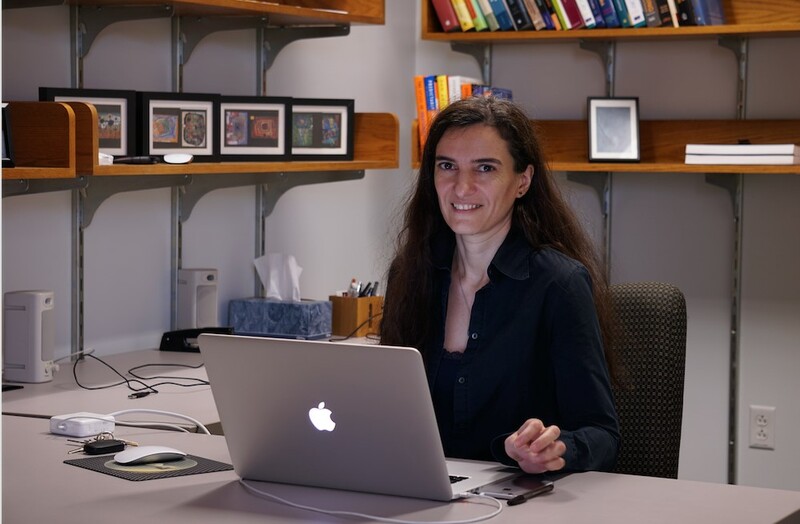 Cornelia Caragea, Assistant Professor of Computer Science, joined our faculty in 2012. Her research focuses on practical applications of artificial intelligence and machine learning, and she is passionate about interdisciplinary collaboration. One thread of Professor Caragea’s scholarship involves text mining of social media data in order to learn what people need during disaster events. A more complete understanding of this would allow limited resources to be focused in order to maximize their effectiveness. Another project involves helping scholars find documents pertinent to their research more efficiently. Broadly speaking, this work involves analyzing millions of documents, as well as documents linked to them – for example through citations. This work relies on collaboration with librarians and with colleagues in Belgium, and has the potential to dramatically improve the research process in a wide variety of disciplines. She is also justly proud of her collaboration with colleagues in UNT’s Department of Audiology and Speech-Language Pathology. This project helps predict which patients would be most likely to benefit from cochlear implants. Professor Caragea’s remarkable research has generated more than $1.1 million in National Science Foundation Funding. Alexandra Ponette-González, Assistant Professor of Geography and the Environment, summarizes her research as involving “things that fall out of the sky.” Professor Ponette-González was recently awarded a $475,167 National Science Foundation CAREER Award for a five year investigation of the extent to which certain trees in urban areas capture black carbon. Black carbon and other atmospheric particulates have obvious effects on human health, and are the second-most powerful climate warming agent there is, second only to carbon dioxide. Unlike carbon dioxide, black carbon has a short atmospheric life. As a result, methods for removing black soot can have much more immediate impact on mitigating climate change. According to Professor Ponette-González, trees effectively may serve as urban air filters. Particulates collect on a tree’s surfaces, washing into the soil after rain, or returning to the soil as leaves fall. 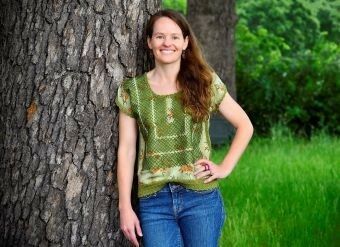 Professor Ponette-González and her team will monitor 60 collectors in locations distributed across Denton in order to learn the degree to which soot and particulates adhere to trees. Besides obvious implications for the environment and public health, Professor Ponette-González’s research has the potential to be of great importance in many other areas, including urban planning. Lauren Mathews is a Senior Lecturer in Audiology and Speech-Language Pathology (ASLP). Over her 12 years at UNT, she has taught undergraduate and graduate classes in the areas of speech and language development, language disorders, clinical methods and Autism Spectrum Disorders and supervised undergraduate/graduate students at the UNT Speech and Hearing Clinic. She has also sat on various departmental, college and university committees, obtained research funding for several studies, and is currently the ASLP Director of Undergraduate Studies. 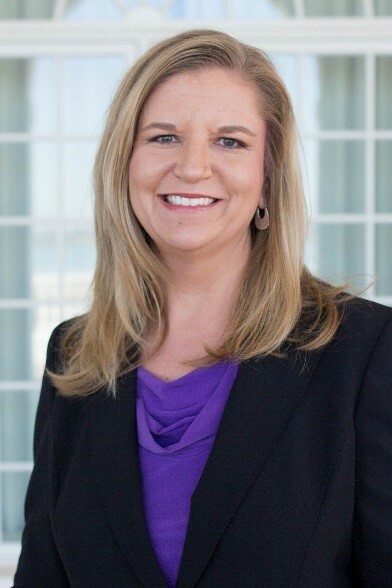 Professor Mathews obtained her BS from Texas Christian University and MS at the University of Texas at Dallas and before coming to UNT, was a clinical speech-language pathologist in pediatric medical settings and the Director of Quality Assurance at a pediatric home health agency in Dallas. Professor Mathews’ clinical and research passion is with individuals diagnosed with Autism Spectrum Disorder specifically with deficits in the areas of engagement/social intentionality, Theory of Mind and auditory processing. She has presented at local, state and national conferences on various aspects of ASD over the years. She has been an active member of the Texas Speech-Language Hearing Association (TSHA) since 1997 receiving numerous certificates of appreciation over the years. She was recognized for her significant contributions to TSHA in 2015 when awarded the Honors of the Association. In August 2016, Professor Mathews, along with two of her ASLP colleagues, was awarded $378,885 by the Texas Higher Education Coordinating Board (THECB) to study their proposed intensive intervention model which targets changes in the underlying neurophysiological processes of auditory processing in individuals with ASD ages 9-21. It is clear that Professor Mathews is committed to improving treatment for persons affected by autism, thereby, guaranteeing them a more wholesome life. Congratulations to Nancy Stockdale of the History Department, winner of last month's giveaway! This month's giveaway is a resource we could all use: a pair of books by Paul Silva on becoming a more productive academic writer. For a chance to win, please register here (or click on the picture) by February 28th. February 17, BLB 010, 1:00 – 2:00 p.m.
March 25, Union Ballroom, 5:30 p.m.
March 30, BLB 080, 2:00 – 4:00 p.m.